I love when actors share pictures of the perfumes they wear. Their choices are often unusual, especially when they select a perfume for a specific role they’re acting in. It’s the case of Toby Schmitz, who performed as Nikolai Triletsky in The Present, an adaptation of the play Platonov by Anton Čechov. 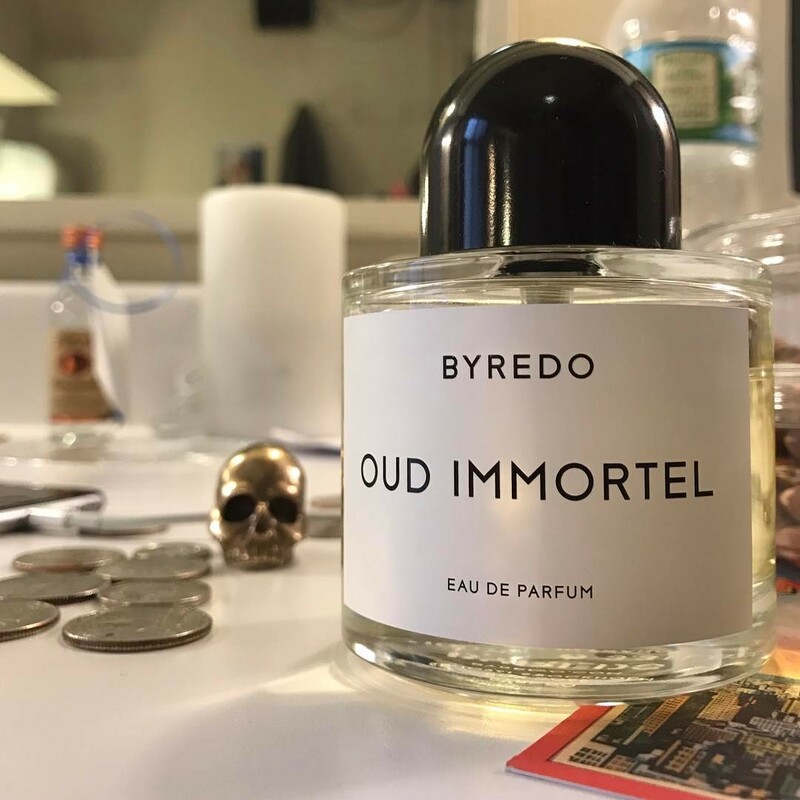 Learning that he wore Oud Immortel by Byredo for this role came as a surprise: the 2010 perfume has *prominent* notes of oud, pure wood, something appropriate for the pirate Jack Rackham, role Schmitz played on Black Sails. The actor pointed out that he wore another Byredo perfume in that case: the smoky and leathery Baudelaire. Excellent choice!